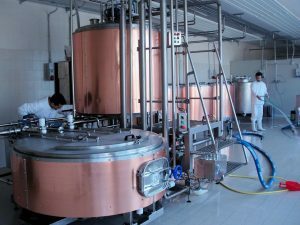 Enterprise Tondelli supply microbrewery equipment, suitable for open breweries where your customers can see a clean and aesthetically pleasing installation. We are working with independent, craft brewers and brewpubs to increase their beer production and efficiency. We offer a variety of equipment from mash tun to conditioning vessels and a technical consultation to determine your requirements. The two barrel show case brewpub can be skid mounted for easy integration and these modular plants are easily upgraded. 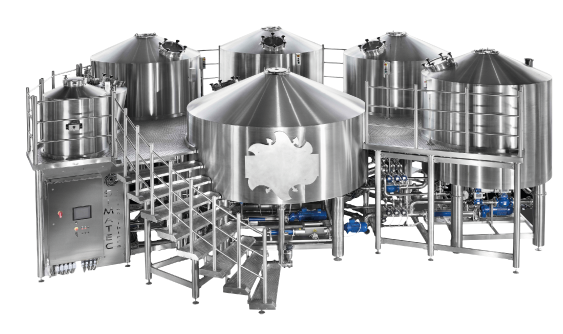 We can also integrate equipment into existing breweries and provide accurate CAD drawings for visualisation. Complete service including recipe tests at our manufacturers brewery – allows quicker start up. • Control semi automatic or fully automated with PLC control and touch screens. • Hygienic tubular and plate heat exchangers. 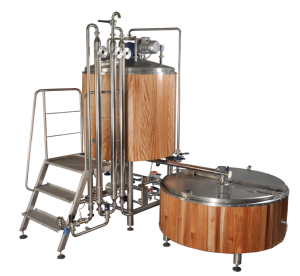 • Pilot brewery plant for 30 litre production utilising a skid mounted 2 vessel system. • Wooden panel, copper of stainless steel clad vessels for showcase micro breweries. • Water (liquor) treatment equipment and DAL plants. We can supply equipment from 3.6 barrel (6HL), 7.2 barrel (12HL), 10.7 barrel (18HL) or 15 barrel (24HL) manual / automatic production through to a modular automated plant giving 30 barrel (50HL), 60 barrel (100HL), 90 barrel (150HL) or 120 barrel (200HL) output. From single vessels to turnkey plants. Why not investigate a small beer bottling line from 1,000 bottles per hour?